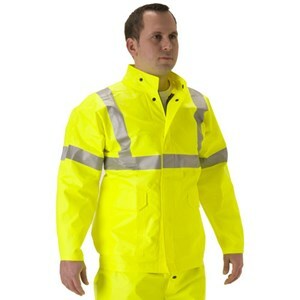 FRSafety.com supplies FR rain wear that will keep you dry and protected on the job. 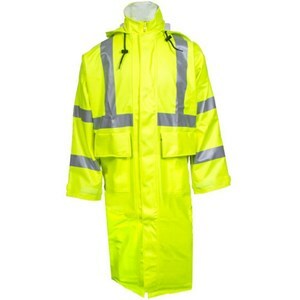 Our FR rain coats come in varying lengths and hi-vis fabrics. 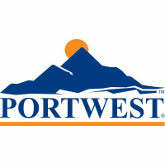 Choose a full-length flame resistant rain jacket or go with a shorter waist length option. 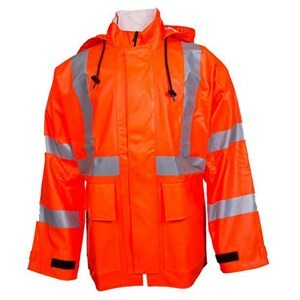 Reflective trim on our FR rain suits guarantees you will be visible from great distances on rainy, grey days. 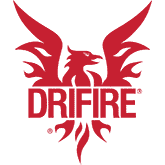 Many of our flame resistant rain pants feature elastic waistbands and adjustable leg cuffs for a comfortable, personalized fit. 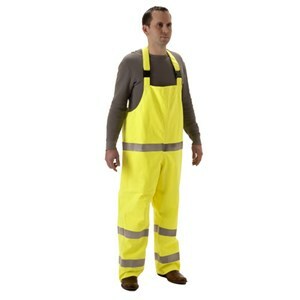 Our FR rain bib overalls are made with quick release suspender systems offering convenience for the worker on the go. 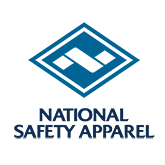 If you are looking to get all of your flame resistant rain wear in one easy purchase, be sure to check out our USA made National Safety Apparel FR rain gear kit! 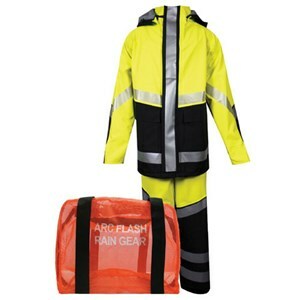 Protection and convenience in our Arc H2O rain gear kit. 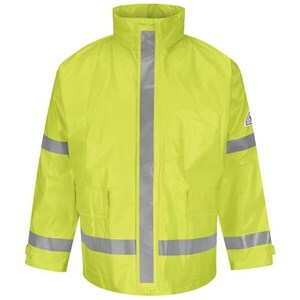 Stay dry and protected with this USA made 30" arc rain jacket, rated to ANSI class 3. 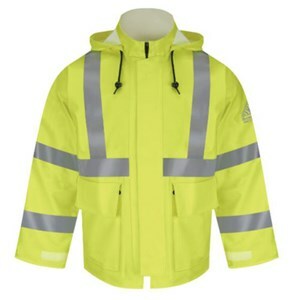 Stay dry and protected in this great FR rain gear jacket. 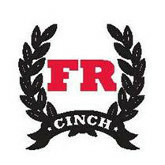 Dry and protected: FR rain gear is your flame resistant solution for grey days. 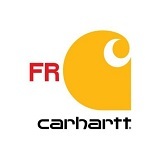 Dry and protected: FR rain gear pants provide safety and protection on grey days. 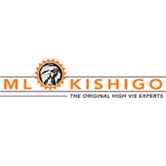 Stay dry and protected with this long FR rain coat and hood. 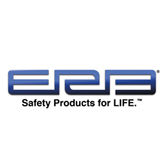 These USA made flame resistant bib overalls meet NFPA 70E, CAT 2 and ANSI Class E.
Protection and comfort: FR Rain Gear is the flame resistant solution for grey days. 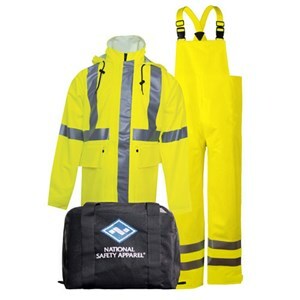 Stay dry and protected with this FR bib overall. 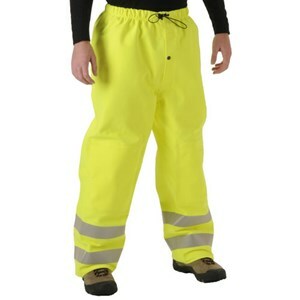 Stay dry and safe in these Hi-Vis FR elastic waist pants. 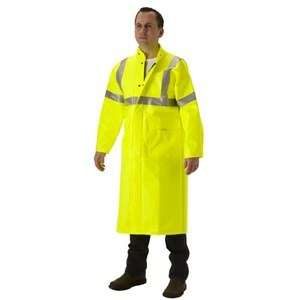 Stay protected and dry with this 48" Hi-Vis FR length coat. 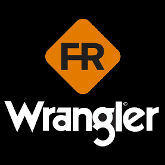 Stay dry and protected with this USA made 48" FR arc rain jacket, rated to ANSI class 3. 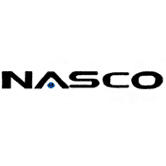 NASCO's PetroLite versatility allows for the cost effective use of one product to meet several safety needs. 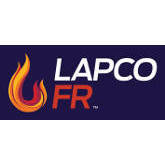 NASCO's PetroLite versatility allows for one product to meet several different safety needs. 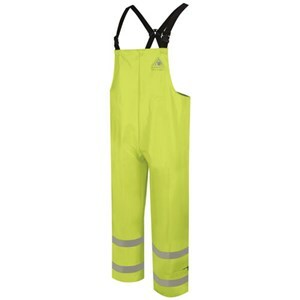 Gran these FR bib style rain trousers with hi-visibility reflective trim! 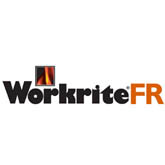 Omega is designed for today's rugged work environment! MP³ is designed for versatile protection and is the lightest weight outerwear available. 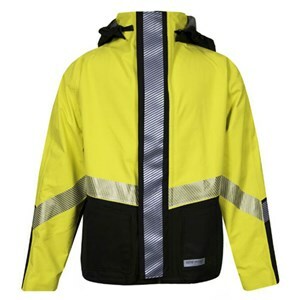 This FR rain jacket is perfect for today's rugged work environment. The MP³ series is designed for versatile protection and is the lightest weight outerwear available. 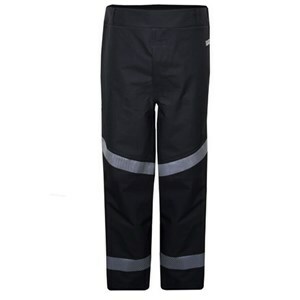 A great FR rain waist pant from NASCO's Omega 5000 Series. Arc Rating: Minimum 10.7cal/cm². See details below. 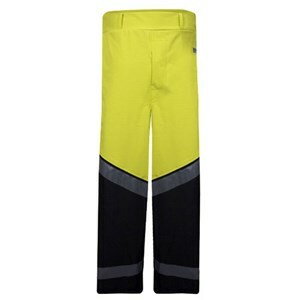 This MP³ pant is the lightest weight outerwear available while offering a range of protection. 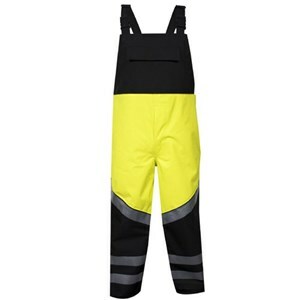 A great bib overall from NASCO's Omega 5000 Series! Arc Rating: Minimum 10.7 cal/cm². See details below. 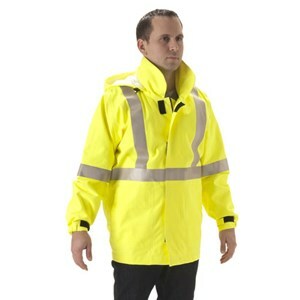 This extra durable, high visibility FR rain wear will keep you dry and most importantly safe! 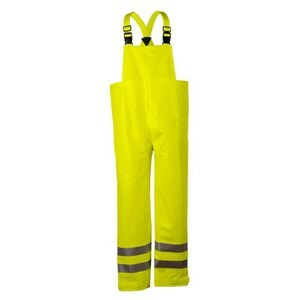 This extra durable, high visibility FR rain bib overall will keep you dry and most importantly safe! Stay dry and protected with this USA-made FR rain jacket! 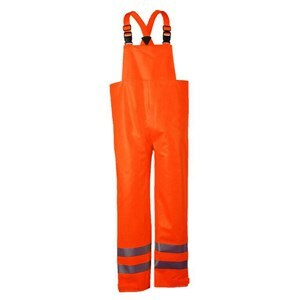 These USA made flame resistant bib overalls meet NFPA 70E and CAT 2. 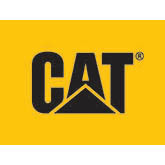 Durable and reliable, this rain jacket will keep you dry! 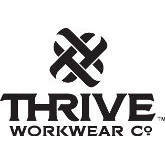 Stay dry and visible while you work! 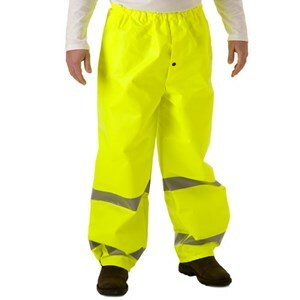 Lightweight and comfort, all in your hi-vis FR rainwear. 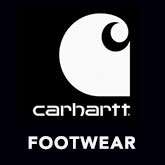 Multi-hazard protection in your FR waterproof rainwear. 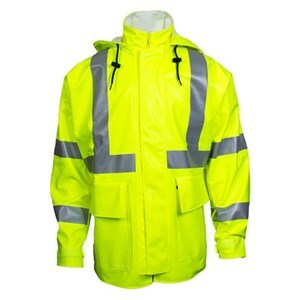 A long FR rain coat that is lightweight and hi-vis! Optional hood when you need extra coverage from the rain. 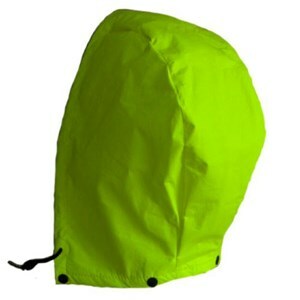 Be seen while shielding yourself from the rain! 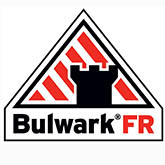 Stay dry and stay protected in these FR bibs from Bulwark. 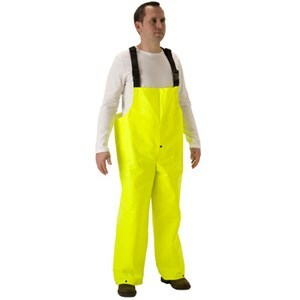 Stay dry and compliant in these FR rain pants!